History of the introduction and spread of St. John’s wort (Hypericum perforatum L.) in Australia. St. John’s Wort (Hypericum perforatum) in Western Australia. Population dynamics of St. John’s wort in south-eastern Australia. Variation in Hypericum perforatum L. (St. John’s wort) in New South Wales. Evidence for resistance in Hypericum perforatum to a biological control agent, the eriophyid mite Aculus hyperici. Genetic variability of Hypericum perforatum L. (Clusiaceae) and the detection of resistance to the biological control agent Aculus hyperici Liro (Eriophyidae). Biological control of St. John’s wort: past, present and future. The potential of fungal pathogens to control Hypericum species in Australia. Redistribution and present status of the mite Aculus hyperici for the control of St. John’s wort, Hypericum perforatum, in Australia. 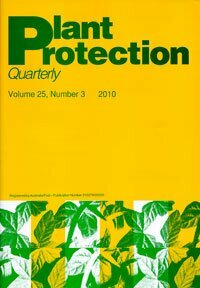 Biological control of St. John’s wort in New Zealand. Effects of Hypericum spp. (St. John’s wort) on animal health and production. Improving herbicide effectiveness on Hypericum perforatum L. (St. John’s wort) and replacing it with pastures sown on non-arable land. Control of Hypericum perforatum L. (St. John’s wort) by grazing management. St. John’s wort experiences at Birnam Wood. Hypericum: current control strategies in the Australian Capital Territory. Hypericum in National Parks: current control strategies in New South Wales. Towards the integration of control methods for St. John’s wort: Workshop summary and recommendations.